The writing is on the wall for the Imperium, her allies are falling away or fail-cascading, their corpses harvested for parts. Like a nonchalant Nero, The Mittani’s harp sings songs that al-Sahhaf would have been proud of, bending over so far backwards with his mental propaganda gymnastics that the backflips are practically spinning. The reality is that Rome is burning: apart from the clear issue with allies within the self-modelled empire, a multi-front war erodes their sovereign territories as line members begin to question the sanity of their leaders. 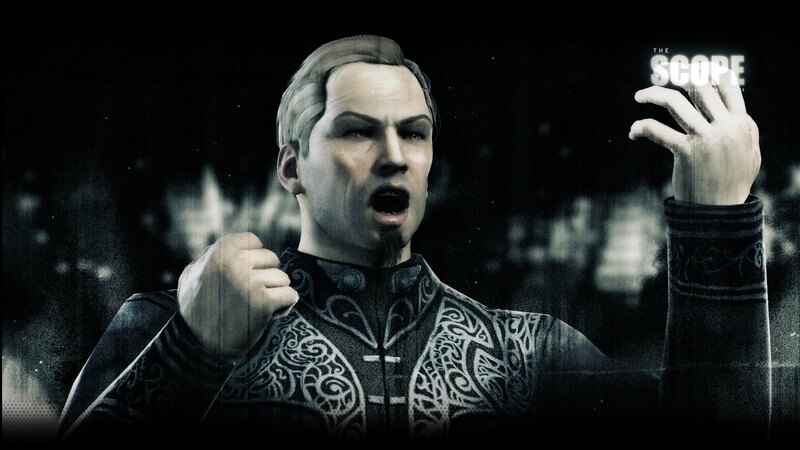 It’s too early and in poor taste to perform a eulogy for the dying, but alliances are hard to kill in EVE, they always have the option to convalesce in lowsec and make a resurgence at a later date. Capsuleers are immortal, after all, a fact used to great effect by Goonswarm Federation over the years reminiscent of the Romanian offensives at Stalingrad, only to much greater effect, as fallen comrades merely reshipped and got back into the fight. Us Goons pioneered a utilitarian approach to the game, eschewing the assumed attachments most players form to their characters, their ships, their implants, their stuff for something far more pragmatic. We capitalised on a great underdog story to undermine Band of Brothers and came out on top as a galactic power. For years we exemplified the power of N+1, being the single, most unified and most capable entity for bringing maximum numbers of any ship to a fight. Core to the success of the bees was our ideology. The very foundation was our origins, being children of somethingawful.com. Much like a student fraternity, members of SA establish a preferential relationship in which our allies are put before all others. This relationship served as both a strong backbone unifying all EVE Goons and as a ripe recruiting ground for warm bodies to fill the ranks, but the rhetoric of ‘best friends, worst enemies’ went much further than that. Contempt for those not of the hive knew no limits: when Goons go to war, it is a total war, taking no prisoners and obeying no rules of honor or good conduct. Furthermore, early bees really jumped on the underdog bandwagon, deliberately embracing the notion that we were the worst players of EVE. This cognitive trap served to black-hole failure as ‘what else did you expect’ while simultaneously portraying those who failed against them as ‘worse than the worst’. Goonswarm are probably best characterised as performance artists, though. With our great numbers came the potential for much talent, manifested in grand pieces of propaganda. We have never been quiet on that front, seemingly always seeking an audience as we go about our ways. Who can fault us? From Suas’ singing to the bee iconography to the state propaganda broadcast tower that is themittani.com and the many streamers associated with it, Goonswarm has always been loud, proud, and playing to an audience. We haven’t been shy from playing the bad guys either, fully embracing the dark intentions for New Eden with scamming, ganking, spying, and every underhanded tactic in the book, and profiting from our lack of restraint in victory and spoils. Behind our many successes is also a robust set of services: forums, voice comms, software, and of course organised, mostly unpaid volunteers running them. Our SIG program – special interests groups that span the whole alliance, regardless of corp or alliance membership – has enabled expertise to be pulled together across the whole coalition into cohesive, effective units. We have even pioneered incredibly progressive groups, looking out for LGBWTFBBQ interests and forming ‘Swoleswarm’, a group dedicated to working out and physical health. “The best for our people” is not an empty phrase; Goonswarm is full of interesting and capable people, and has a core demographic that will survive whatever will come in one form or another. So where did it all go so wrong? First, let’s start with the misattribution of success. Many organisations, professional or otherwise, claim to be meritocracies, but typical human biases often serve to subvert this intent. Interviewers are said to hire people most like themselves, while the importance of networking is huge, with many roles filled by reference rather than advertisement. Big risk takers are merely more volatile and no more successful, on average, than more conservative people, and yet risk takers are perceived to be more successful and selected for. Even in the most well-meaning environments, the intent of an organisation can be eroded and undermined. However, EVE is a hostile environment where trust is a major factor. This can give rise to rampant cronyism when loyalty is allowed to trump ability. Like anyone who’s had a bad boss will know, advancement can come from being in the right place at the right time and being willing to throw others under the bus while taking credit for their actions. Yes-men springboard into their positions based on aptitude for political maneuvering rather than qualification for their job. Cronyism can be exacerbated when your organisation is taught to celebrate a Stalin-esque ‘perform or be shot’ approach to work, where payment is given in the form of honour and glory. When cronyism becomes rampant, organisations tend to crumble when tested, as endemic lack of aptitude causes the whole apparatus to fail, compounded by a detachment from reality as underlings fear conveying the truth. Some of the core Goon attitudes have turned out to be a two-edged sword as well. The idea of ‘best friends, worst enemies’ can work, for a while, but EVE is not like real life in which a Machiavellian prince can quietly weed out detractors and shoot them in the back of the head. Even players forced from the game can sit on the sidelines in r/eve and snipe at their tormentors, perpetually out of their reach, while the severe repercussions for betrayal lead to a list of enemies that only grows over time. Coupled with a willingness to do anything, Goons cemented their position as the bad guys of the universe, but by doing so created an automatic hostility that was eventually leveraged to turn the greater part of New Eden against them, rallying those with little to no direct experience against the swarm by reputation alone. That isn’t to say that we have been incapable of making allies, whether out of convenience or mutual self-interest, but recent events have shown these associations to be two-faced and harmed the potential for any future peaceful relations between us and our neighbours. At best, we garnered ourselves some fairweather friends that are abandoning us as things actually get tough. The swarm itself also has become complacent. Fattened on previous successes, we have been coasting on a big wallet and lack of significant opposition for quite some time now. Attempts to engage in distributed warfare rather than all-out blobbing, as necessitated by the changes to sovereignty mechanics, have tended to slide back towards old habits; everyone wants to pile in on the biggest, most entertaining fleet. The military has ossified, continuing the perpetuation of the auteur FC model of battle command and failing to generate innovative new commanders. This in part has been due to the lack of challenge; having ‘won’ EVE for a time resulted in a lack of worthwhile or willing opponents. More able FCs have retired, to be dusted off in times of need, hopefully still relevant in their thinking. The current war may be dire, but with the imminent capital changes, adapting to new mechanics while turning around a losing war may be too much to ask. The worst failures remain internal, however. Monetisation of hobbies isn’t the most glorious of pursuits, but it is one best done above-board, transparently, and with a soft touch to not ruin things with exploitation. Done poorly, it comes across as crass and exploitative and, sooner or later, alienates those associated with and most responsible for the actual success. A soured relationship with somethingawful.com and a growing list of “true Goons” who’ve fallen from the swarm hint at a seething unhealthiness within the GSF and our growing discontent with the current leadership. It is becoming more and more obvious that their position at the head of the swarm is in part maintained by a reluctance to challenge the status quo and ultimately at the barrel of a gun, the attitude of ‘for the good of all Goons’ twisted into an excuse to cement power. Furthermore, the hyperbolic propaganda meant to antagonize their enemies and galvanize Goons to success also whitewashes failure and suppresses dissent, while the continued narrative suggests excessive sipping on their own kool-aid. The cloak and dagger mystery of a spymaster and his web of intrigue all starts to feel like smoke and mirrors, lacking in substance. The smoke-filled backroom where all the secret deals happen turned out to be a cheap motel with a fog machine. The spin machine is so overutilized that all points of reference are lost and every event is retconned as an intentional step in a greater plan, resulting in smugness as their supposed goals are achieved. Thinking ‘we’re so meta, we’re playing the game at a level nobody else is’ is a sign of your head being in the clouds and a long throw from being the supposed worst at EVE. The leadership also seems to have lost all sense of the extent of its power, repeatedly trying and failing to exert influence over the silliest things, like the name of a war already cemented in the public lexicon. “Don’t worry, it’s all a plan to distract from some other thing” will be the inevitable next step in a delusional narrative doomed to convince nobody but its creators. The delusions continue to manifest in ill attempts to declare war on CCP by boycotting the CSM, an awkward attempt to place a much-reviled individual onto the CSM as a troll, tilting at the windmills of r/eve, and apparent email exchanges in which they antagonise and try to play individuals within CCP against each other. The abject failure of trying to coax Goons wholesale into H1Z1 coupled with the contemptuous idea that abandoning EVE for other games is an acceptable alternative to their failed attempts to blackmail CCP indicates a very strong detachment from reality. Not to mention the undisclosed terms of that H1Z1 arrangement: likely a huge sell-out with questionable beneficiaries. The attempted lateral transfer into being a ‘real business’ is laudable, but the execution is both exploitative and dire, as if its executives are dogged by the kind of thinking that only really works when managing a virtual evil empire. One of the better lessons they could have learnt is transparency, like Goonswarm achieved in the past having opted to make its alliance ledgers public. However, when real money is concerned, the tune changed. Within TMC’s editorial circle, the opportunity of real money pay and shares in the ‘business’ has been teased for years now, a mirage never materializing but serving as a useful carrot to keep hopefuls dancing like puppets. Editors burned themselves out to keep a sinking ship afloat, burdened by the same cronyism; a microcosm of the Imperium’s greater corruption. Eventually the carrot was replaced with a stick: an NDA agreement which expected unpaid volunteers to expose themselves to prosecution for, amongst other things, discussing ‘vital business information’, such as how many space credits, steam wallet funds, or other gaming currencies were paid to staff. This was no casual NDA either: a kangaroo court jumped at the opportunity to label yours truly as in breach of contract for discussing how much TMC writers and editors are paid. Unfortunately for them, their willingness to threaten legal prosecution over such a laughable matter backfired when it became clear that the NDA had not been distributed to everyone and signed by all parties, which then resulted in the audacious request to sign the NDA so that proceedings could continue. This is not how professionals do business. While the TMC shareholder smokescreen joke is quick to be deployed and any serious antagonism is shrugged off as grr Goons, a lack of transparency and willingness to be transparent casts serious doubts. There’s no way you can paint so many people with a single brush. Even if our leadership’s failings are largely a result of stupidity rather than malice, part of the mantle of leadership is taking responsibility for the direction their actions have taken them. But when there is malice, it must be cut out from within, whether by excising the cancerous elements, or by burning everything to the ground in order to remake and renew from the ashes. Culpability for such malice can only rest at the very top. A lot of Goon rhetoric is based on the principle of fellow goodwill, of looking out for each other. When a viper enters the nest and starts exploiting fellow Goons for their own good, it’s known as ‘Goonfucking’ and considered a capital and unforgivable offense; the absolute worst thing you can do within our totalitarian ideology. As long as the façade is maintained, any and all actions can be brushed off as in the service of the swarm, but if you start to doubt and cast events in an uglier light, things take a bitter turn. The worst violation is one not often discussed out of respect for those who have passed, and easily glossed over with benefit of the doubt and a desire to celebrate the positive and remember the best, but in a quid pro quo to our attitude of no line uncrossed, any of you may ask yourself this question: when does a respectful memorial turn into political exploitation in service of a virtual tyranny? The Mittani insults the greater EVE community with his contemptuous attitude to the game, its creators, even geek culture itself. He insults his audience, his employees, and his partners with his toy-empire approach to business and pseudo-intellectual thinking and rhetoric. He has lead his people to ridicule and ruin, but most importantly, he has violated one of their own cardinal rules with his own narcissism and self-interest. Like the ignoble artificial intelligence from the Iain M. Banks novels, GCU Grey Area, which broke one of the few taboos the Culture had, the most scathing judgement comes from his peers. It could be exemplified in a single word and apt title when we ask ourselves: is The Mittani a Goonfucker?